“Where can we go from here? The Future of Exhibition Studies,” Roundtable on World Expositions, Contemporanea 18:1 (2015), 130-134. 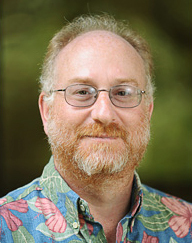 “Displaying an Oceanic Nation and Society: The Kingdom of Hawaiʻi at Nineteenth-Century International Exhibitions,” Richard D. Fulton and Peter H. Hoffenberg, eds. Oceania and the Victorian Imagination: Where All Things Are Possible (Ashgate, 2013), 59-76. “‘A Science of our Own?’ Nineteenth-Century Exhibitions, Australians and the History of Science,” Brett Bennett and Joseph Hodge, eds. Science and Empire: Knowledge and Networks Across the British Empire, 1800-1970 (Palgrave, 2011), 110-139. William A. Galston and Peter H. Hoffenberg, eds. 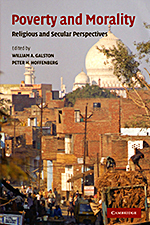 Poverty and Morality: Religious and Secular Perspectives (Cambridge, 2010). “A G Stephens: Australian Critic, Traveller and Nationalist, circa 1900,” The IUP Journal of Commonwealth Literature II:2 (July 2010), 24-42. “Nineteenth-Century Australian Scientists and the Unholy Australian Trinity: Overcoming Distance, Exile and Wandering at Exhibitions,” British Scholar II:2 (March 2010), 227-253. “Nothing Very New or Very Showy to Exhibit? 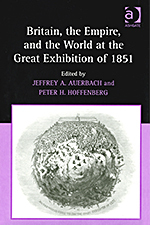 : Australia at the Great Exhibition and After,” Jeffrey A. Auerbach and Peter H. Hoffenberg, eds. Britain, the Empire, and the World at the Great Exhibition of 1851 (Ashgate, 2008), 93-120. “Socialist and Orientalist? William Morris and the ‘Eastern’ Question of Indian Art,” Australian Victorian Studies Journal (2004). “Promoting Traditional Indian Art at Home and Abroad: The Journal of Indian Art and Industry, 1884-1917,” Victorian Periodicals Review: Special Issue on the Nineteenth-Century Press in India (2004). “Photography and Architecture at the Calcutta International Exhibition, 1883-84,” in Traces of India: Photography, Architecture, and the Politics of Representation, 1850-1900 (Montreal, 2003). “David Cannadine and the Decline and Fall of Britain’s Imperial Aristocracy,” Journal of Colonialism and Colonial History (2002). 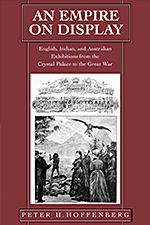 An Empire on Display: English, Indian and Australian Exhibitions from the Crystal Palace to the Great War (Berkeley, 2001). “Landscape, Memory and the Australian War Experience, 1915-1918,” Journal of Contemporary History 36:1 (January 2001), 111-131. “Equipoise and its Discontents: Voices of Dissent During the International Exhibitions,” Martin Hewitt, ed. An Age of Equipoise? Reassessing Mid-Victorian Britain (Ashgate, 2000), 39-67. “Colonial Innocents Abroad? Late Nineteenth Century Australian Visitors to America and the Invention of New Nations,” The Australasian Journal of American Studies 19:2 (2000), 4-24.